Disclosure: I got this product as part of an advertorial. In just a few short weeks, shorts season will be here. After being stuck inside all winter long, the idea of shorts, tank tops and (oh no) swimsuits makes me break out into a sweat. Of course, I've been working out like always, but my eating habits haven't been the best. From that extra glass of wine to a cookie (or two) for dessert, my shorts might not be a great choice. I need to get back on track. That's why I went on the Total Colon Cleanse and Detox 7 Day Weight Loss Slim System. This product offers a quick way to get your body back on track in a short amount of time. The idea is to detox your system through a cleanse. The product allows the body to rid the digestive system of waste and toxins. In turn, your body can be bettered prepared to absorb good nutrients and feel more energized. Before taking any product, it is best to consider your lifestyle and conditions. If you are looking to cleanse your system, this product might be right for your lifestyle. I would highly recommend drinking lots of water with this product and eat relatively healthy while taking it. I found that more fruits and vegetables and less heavy foods worked best. As with any supplement, individual results do vary and the product shouldn't be take for extended periods of time. I would say this product could be a good way to kickstart a diet or lifestyle change. 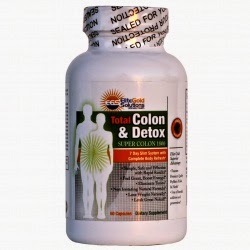 The Total Colon Cleanse and Detox 7 Day Weight Loss Slim System can be purchased online at Amazon.com for $19.99.